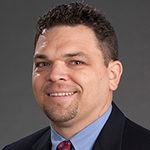 Zachary Hartsell is a Hospital Medicine PA and Adjunct faculty member at Wake Forest Baptist Medical Center in Winston Salem, North Carolina. Zachary also currently works as a healthcare consultant specializing in workforce design and optimization and had extensive healthcare administration experience. Zachary originally graduated from Touro College in 1999 and has nearly 20 years of experience as a PA in hospital medicine, emergency medicine, and cardiology. Additionally, he participated in the initial pilot program introducing PAs to the National Health Service Scotland and worked outside of Glasgow in emergency medicine for a year. Zachary serves on the Journal of the American Academy of Physician Assistants editorial board and is a frequent speaker nationally and at hospital medicine conferences. Zachary is completing his Doctorate in Health Administration and when not studying enjoys baseball and spending time with his family.